Oh my God, it was more like geo cashing for the last two hours or so. 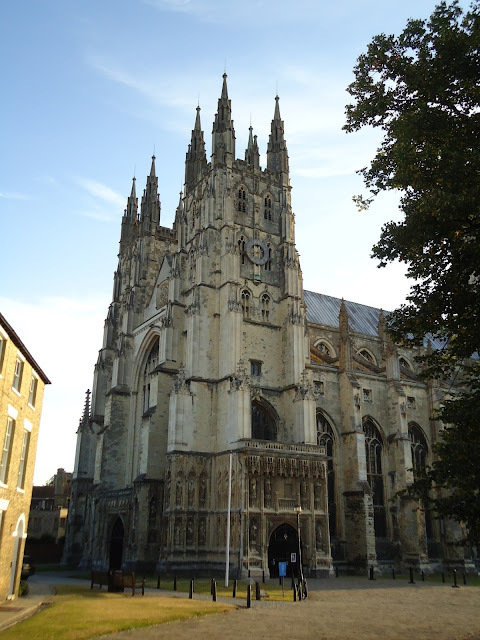 We did really well leaving Canterbury today. The weather was perfect and we did okay with the map reading. Later on we ran into a few problems finding signs behind trees, enlisting the help of an odd cyclist who volunteered to go back to the intersection and check for us. No, there was no listening to the iPod, we were focused as to kissing gate locations and whether or not that was a pilgrim trail or a cow meandering trail. It gets real interesting walking on these b roads with no shoulder and the hedges up to the road. The cars come roaring around the corner until they see us and bear away at the last minute. or missing. The pizza stains are a little much but the sheets are clean. 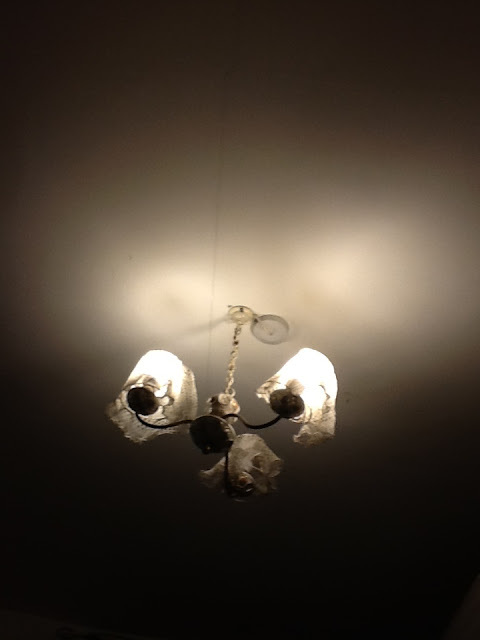 I took a picture of the doilies covering the bare light bulbs. We checked the window and it seems the best means of leaving in case of fire. Our legs are sore from the walk that was 32 kilometers but with the doubling back was probably closer to 40. Tomorrow is up 20kms on the beach from Calais to Wissant after we get the 8am ferry.Yes, we will be checking the room before we register. The guide book mentions that there can be rivers to cross depending on the tide. I don't think I will mention that to my partner until it becomes apparent and one can act shocked.